Savor Sauvignon Blanc and Chardonnay from an eye-catching stemless tumbler, polished and perfectly rounded to fit the curve of your palm. 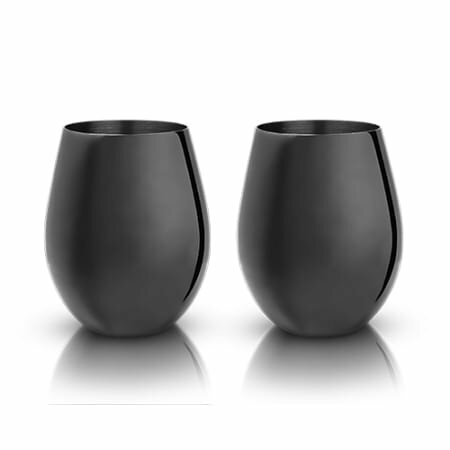 These gunmetal-black-plated metal glasses collect and intensify the aromas of your drink, allowing you to fully appreciate its bouquet. Holds 18 oz. Stainless steel construction Polished gunmetal black plating. Sold Individually.